Mohamed Salah's incredible exploits since joining Liverpool from Roma last year make his £36.9million price tag seem ever more implausible and any debate over the identity of Jurgen Klopp's most important player more or less redundant. Any murmurs of a relatively quiet start to his second season on Merseyside were emphatically squashed by a stunning hat-trick at Bournemouth last Saturday, with Salah inspiring a 4-0 win that helped to ensure Liverpool finished the weekend at the top of the Premier League table. The Egypt forward's brilliant winner in the nerve-shredding 1-0 victory over Napoli in the Champions League was an example of a high-grade player operating near the peak of his powers. Of course, it would have counted for nothing if Alisson had not made a late point-blank save from Arkadiusz Milik in the closing stages and the Brazilian goalkeeper has been the toast of Anfield over recent days. The solid reliability of an accomplished centre-back will always struggle to compete with such highlight-reel moments, but it is scarcely credible to imagine the chasm between Liverpool and Manchester United yawning at 16 points ahead of Sunday's showdown without the imposing and reassuring presence of Virgil van Dijk. 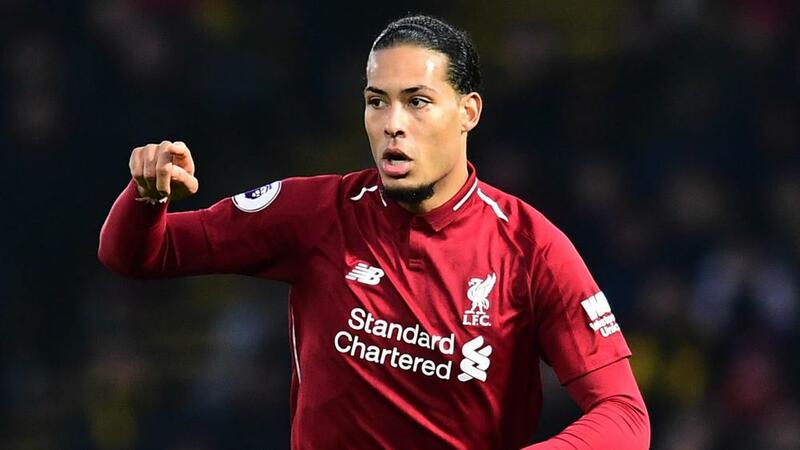 Few, if any, players who move clubs for fees in the region of the £75m Liverpool sent Southampton's way to sign Van Dijk will avoid "game's gone" spleen venting. The true test of their quality and worth is how quickly they can make such talk disappear. Almost a year on from joining the Reds, Van Dijk is called the best centre-back in the world at least as often as we are reminded he is the most expensive. According to Opta data, no Premier League defender has won a higher percentage of his duels than 27-year-old Dutchman in 2018. His 202 out of 278 amounts to 72.7 per cent. Additionally, Van Dijk has won 150 of his 206 aerials, second only to Brighton and Hove Albion's Shane Duffy. The extra security granted by the former Groningen youngster is borne out in Liverpool's record with and without him. Since the start of the 2017-18 season, Klopp's men have won 20 and lost three of 30 Premier League games with Van Dijk lining up at the back. The period before he joined and any subsequent games in which he has been absent from the starting XI featured 14 wins out of 24. Liverpool without Van Dijk during this period conceded 28 goals, or 1.2 per game. This drops to 16 and 0.5 per game with him around. In his pre-match news conference, Jose Mourinho opined – somewhat unsurprisingly – that his Manchester United team were "far" from being a team playing in his image. The contrast with a Liverpool side bearing so many classically Klopp hallmarks is obvious. However, there is something distinctive about the gegenpressing master's latest vintage. Far from heavy metal football, there is a tranquillity about this Liverpool – a cold-blooded certainty about their play that a team can only truly harness when a clean sheet feels virtually guaranteed. It lends an unusual slant to the battle in the dugouts – Klopp the great entertainer marshalling his miserly troops as the ruthless pragmatist Mourinho oversees a ramshackle and porous backline. The United boss, frustrated in his quest to bring in a new centre-back over the close season, would be having a more straightforward time of things if he could call upon a defender of Van Dijk's calibre. As it is, improvements continue to happen all around him at Liverpool. Before a recent fractured leg, Joe Gomez had made considerable strides alongside Van Dijk in a defensive pairing of solidity and dynamism. Outside him, the ebullient Andrew Robertson can rove from left-back without compromising the team's security. Also, it is hard to imagine a goalkeeper of Alisson's talents and ambition on the ball producing so few hair-raising moments behind the backline Klopp patched together at the start of last season. Amid the white-hot intensity of their rivalry with United on Sunday, Liverpool can play as a team able to take a breath, survey all around them and move in for the kill. There is no need for the chaos they previously harnessed with Van Dijk as the rock on which a title triumph can be built.